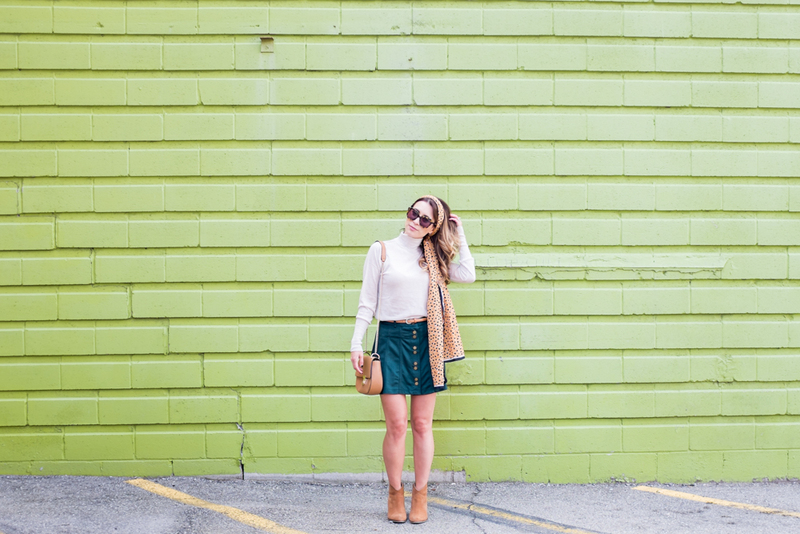 OOTD - Seventies Style for Fall | La Petite Noob | A Toronto-Based Fashion and Lifestyle Blog. I'm a child of the seventies - in my head, anyways. Give me Rolling Stones, shag rugs, platforms and hair scarves and I'll show you a happy girl. Imagine my delight when I was tipped off that seventies fashion and colour palette will be making a comeback for Fall '15 during last season's Toronto fashion week. 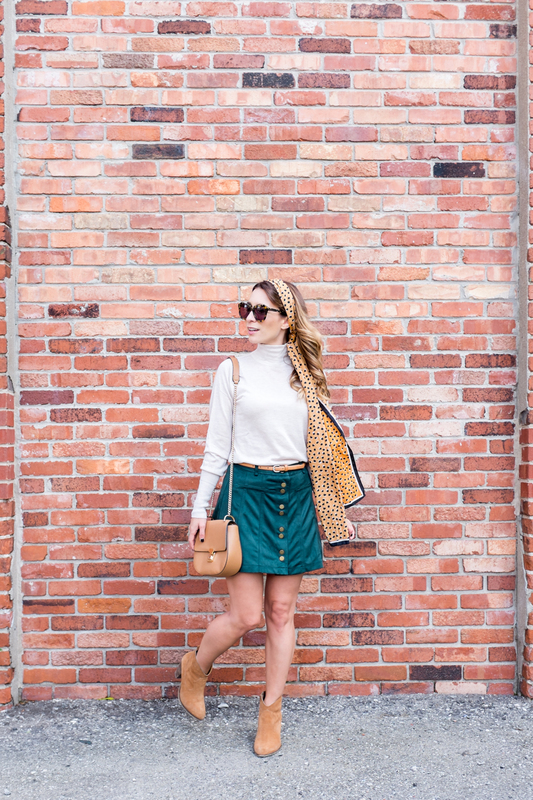 This outfit definitely has got me in a retro state of mind, from the forest green skirt to the oatmeal polo neck. Don't get me started on the hair scarf - swoon! I may not have come of age in the seventies, but I'm having a ton of fun dressing like it! I had been looking high and low for a forest green skirt, and didn't even think twice when I saw this one from Zara. Seriously, Zara is such a great retailer for fall clothing and I definitely suggest giving them a peek! 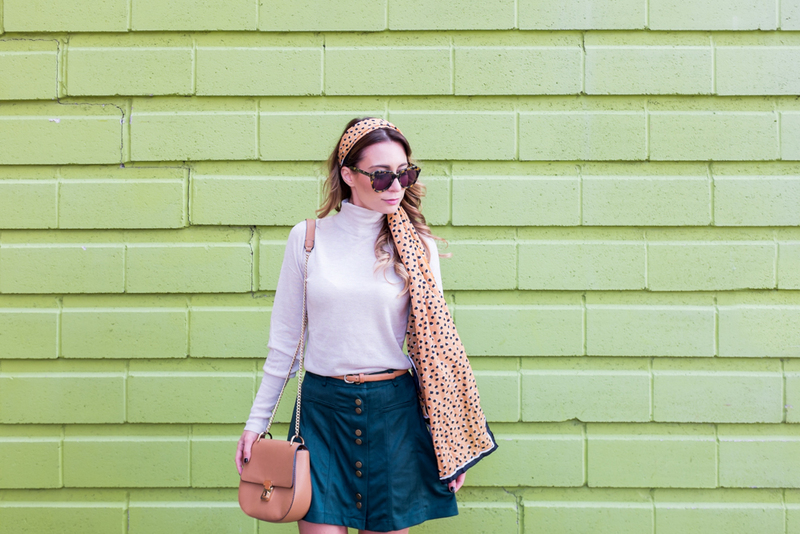 Seventies style - yay or nay? In doses, or full on? Let me know your thoughts on this autumn trend. Love this look on you! You make it look so natural! And, hello perfect green wall. Are you attending any shows this Fashion Week? We should try and get together! Perfect green wall = Goodwill drop-off centre on Richmond St. Too funny! Yes Yes Yes! I will send you an Instamessage and we can meet up! NO way! I think it will take one huge faux fur coat to change your mind!